Let’s face it, this winter has not been an easy one. 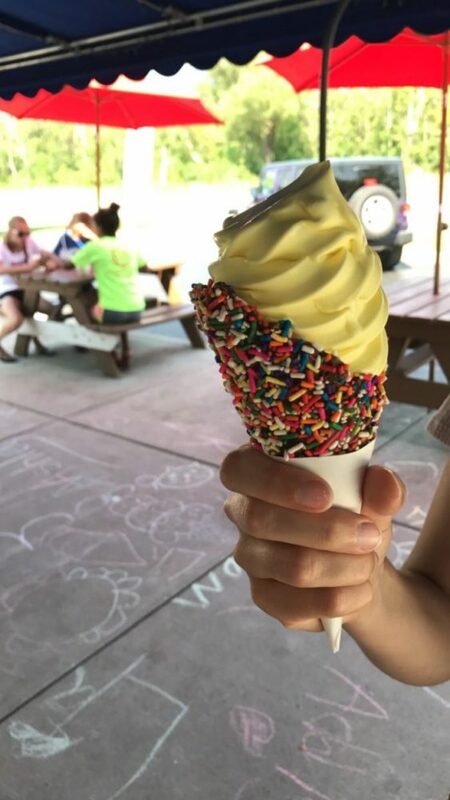 With below-freezing temps for more days that we can count and March coming in like a lion full force, we are *dying* for a long, hot summer season and I think it’s safe to say we *deserve* ice cream on at least 75% of the summer days ahead. Agreed? Agreed. #1: New week, new flavor! 2 Scoops has a custard flavor of the week, which is always changing, and always something we can get on board with. Think banana, Black Raspberry, and Pistachio. #2: For every $5 you spend, you’ll earn 1 stamp on your Loyalty Stamp Card. 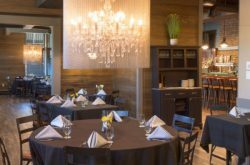 20 stamps gets you a $5 credit toward your next purchase! AKA the more after dinner ice cream field trips, the better. 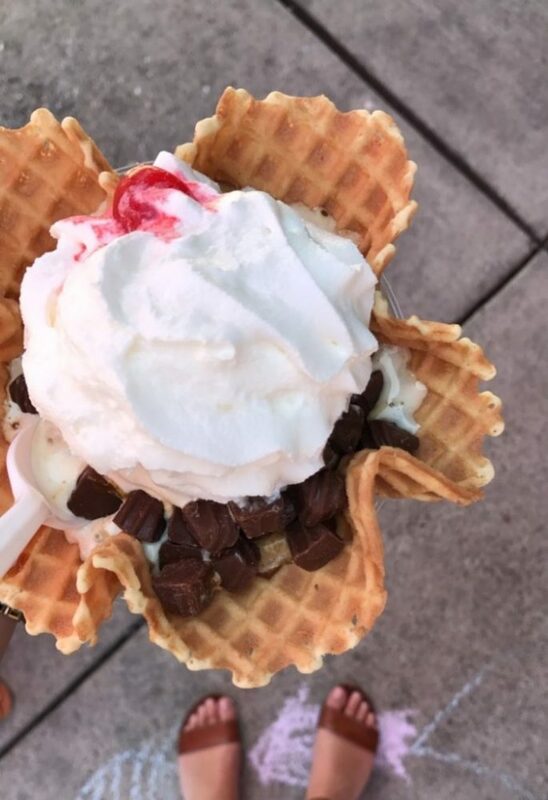 #3: 2 Scoops makes waffle cones and bowls fresh in-house every. darn. day. The second you pull up to 2 Scoops you’ll be able to tell, trust us. Just follow the smell! #4: Their novelty game is strong. 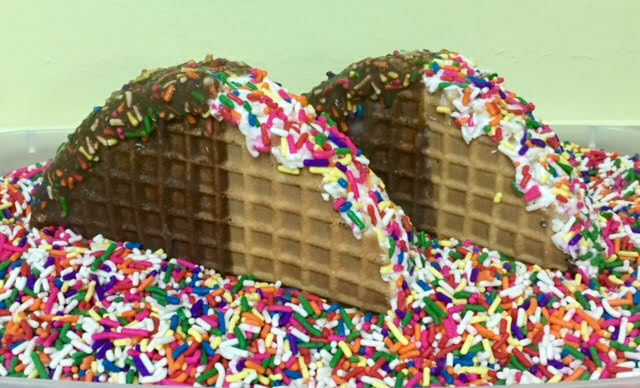 We’re talking homemade nutty buddies, ice cream tacos(!! ), ice cream sandwiches, and sundae-on-a-sticks. Yes, all homemade with their own custards. We’ll have one of each, please! #5: What’s better than cake on your birthday? Ice cream cake, duh. Traditional Vanilla & Chocolate, Peanut Butter Fudge, and Turtle Sundae cakes are the most popular, and they are made fresh every day. I’m not drooling, you’re drooling! #6: Gluten-free friends rejoice – you have options too. Cones, custard flavors, hard ice cream flavors, and cakes to be exact. Dole Whip is a fat free, dairy free, gluten free, vegan friendly treat that is only 90 calories. We are also excited to see fat free, low calorie soft serve, Wow-Cow, make its return. 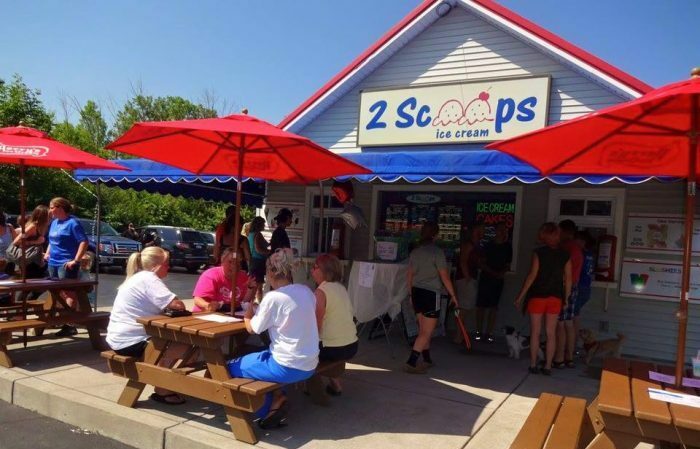 #7: In addition to making their own custard and getting mad creative with it, 2 Scoops serves Perry’s hard Ice Cream. Which, if you know anything, you know it’s some of the best in the biz – locally made and super high quality. PSA: They even have Perry’s (kind of hard-hard-to-find) Fireball here! Run, don’t walk. #8: New this year from Perry’s, is their 100th Anniversary Feature Flavor, “The Good Stuff”. An ode to Perry’s founder, The Good Stuff combines yellow cake flavored ice cream with strawberry swirls (H. Morton’s favorite topping!) and strawberry cream-filled panda paws. #9: Ice cream is insta-gold – especially when it’s not your average concoction. We recommend getting the Cotton Candy Chaos Sundae with cotton Candy ice cream on a bed of Cotton Candy topped with Cotton Candy Dip and crunch or a Nutella Dipped cone for that IG wow-factor. OR get a Dream Cone, AKA a homemade waffle cone, dipped in Chocolate and rolled in sprinkles or nuts filled with your choice of ice cream goodness. Snap ‘em and share ‘em. Don’t forget to use #hashtagstepoutbuffalo!